Producer, songwriter, multi-instrumentalist... and we're thrilled that our dear friend Paul ("Pvibez") Morgan has now added radio presenter to his already long list of staggering achievements and skills. Currently riding high from the release of his eclectic four-track 2018 EP 'The Vibezlab Sessions, Volume 1' which features vocal contributions from Eshe Escoffery, Laurnea, Lifford and Andrae Bentley, this incredible guest show carries over the pure vibes aesthetic into 'Influences & Inspirations'. Originally broadcast in August 2018, 'Influences & Inspirations' gives exciting insight into the music that's inspired much of Vibez's music, from the current EP to previous releases 'Urban Xpressionz' (2011) and 'Love is the Notion' (2016). 'The Vibezlab Sessions' however marks the beginning of an exciting new chapter so this show comes at a perfect time. With music from Stevie Wonder, Prince, Roy Ayers, Marvin Gaye, Larry Graham & much, much more, Paul offers up an encyclopaedic level of knowledge about his heroes and the projects that he showcases them on throughout this show. It's an absolute must-listen for fans of classic soul music and we're so massively grateful and appreciative that one of our favourite people has taken the time to do this for us. 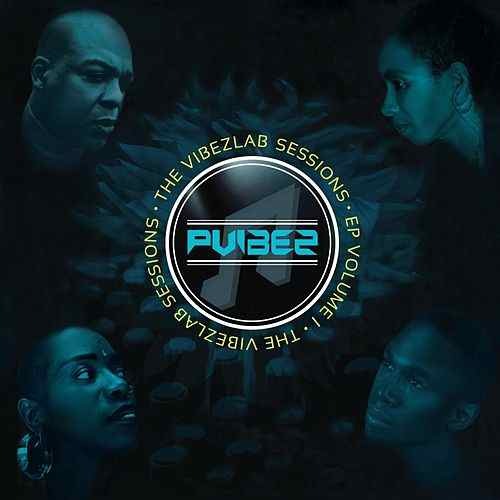 'The Vibezlab Sessions, Volume 1' is available to purchase from iTunes.